Our 7.2m mobile climbing wall is available to hire in the UK. It features 4 separate climbing faces, each with 2 different climbing routes. Staffed by qualified climbing instructors for peace of mind, climbers are kitted out with a fully fitted harness and given a short brief before being attached to a hydraulic auto-belay line. Slow and steady, or race to the top we can tailor your session to your needs. 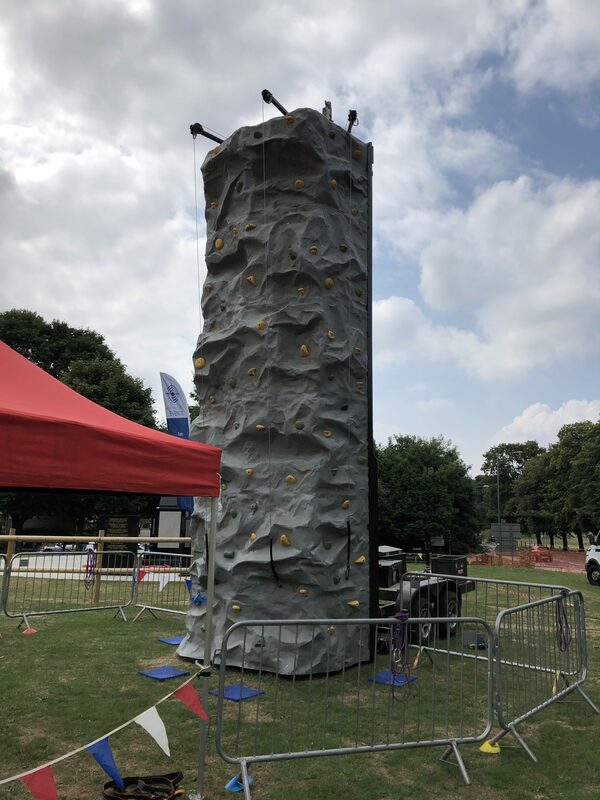 Our mobile climbing wall is suited to both structured sessions and have-a-go events. All climbers will be fitted with a climbing harness by our instructors, before a brief explanation of the wall is given. Climbers are then free to climb and descend, before being switched to the next route. No. of users – Dependant on sessions, age etc. For operation we require sufficient access for a 7.5m long trailer and 4m long tow vehicle. Access must be at least 2.6m wide.